PayPal is accepted on millions of mobile sites and apps, just like on your computer. 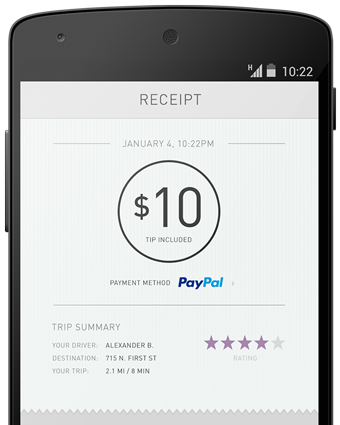 It's the safer and simpler way to pay on the go. Log in with your mobile number and PIN and check out in seconds. Activate your mobile number and PIN as your mobile login. We're integrated into thousands of iOS and Android apps. Shop on the go, pay on your smartphone and tablet just like on your computer. When you’re shopping on your mobile, your eligible purchases are protected, just like on your computer. If you suspect any unauthorised activity on your account, report it. When you're away from your computer, you can pay just as easily and even faster with PayPal. Your phone number and PIN will let you pay on any mobile device. Buying is free within Singapore. A small currency conversion fee may apply when you buy overseas.